Euro is still consolidating between the level of 50% and 61.8%. However, the main trend is still bearish. If the pair breaks the level of 61.8%, the price will continue falling down towards the level of 78.6%. At the H1 chart we can see, that Euro is trying to start a new descending movement. In the target area there are several fibo-levels. In addition to that, the target for the bears is the 4.236 line of the fibo‑channel. 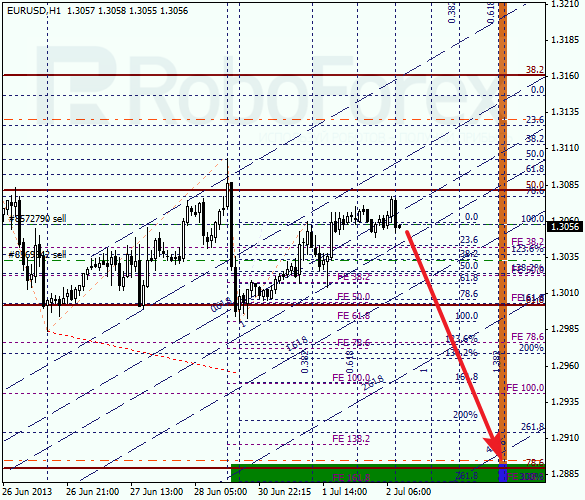 According to the analysis of the temporary fibo-zones, the targets may be reached during the next 24 hours. Franc is also consolidating. Yesterday the price tried to break the 50% level, but failed. 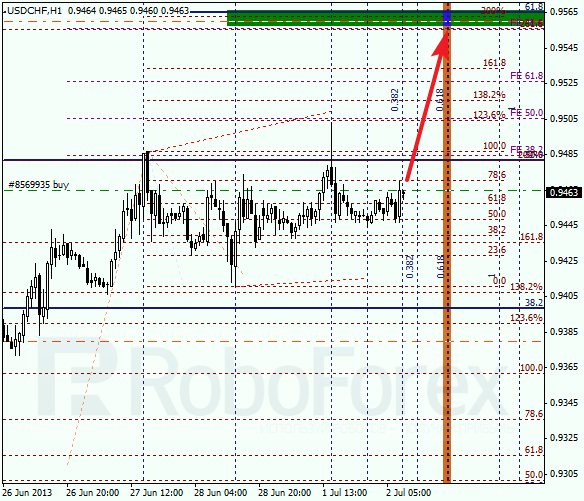 Nevertheless, the forecast is still bullish and I’m still buying the pair with the target at the level of 61.8%. 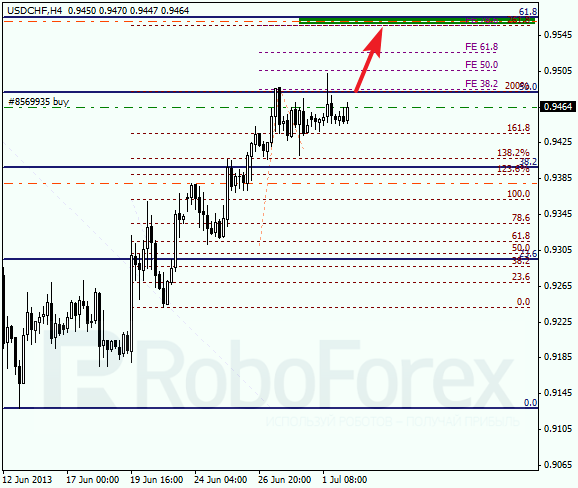 At the H1 chart we can see, that the target area is formed by three fibo-levels. According to the analysis of the temporary fibo-zones, the bulls may reach their targets during the day. If the pair rebounds from the level of 61.8%, the market will start a new correction.